This past weekend, on March 1st and 2nd, Toronto got to experience a taste of New York as Harlem-bred rap collectives, known as The Diplomats [aka DIPSET], came through and set up a successful pop-up shop in Toronto's well respected, sneaker shop, "Capsule" located in the city's prestigious midtown, Yorkville area. 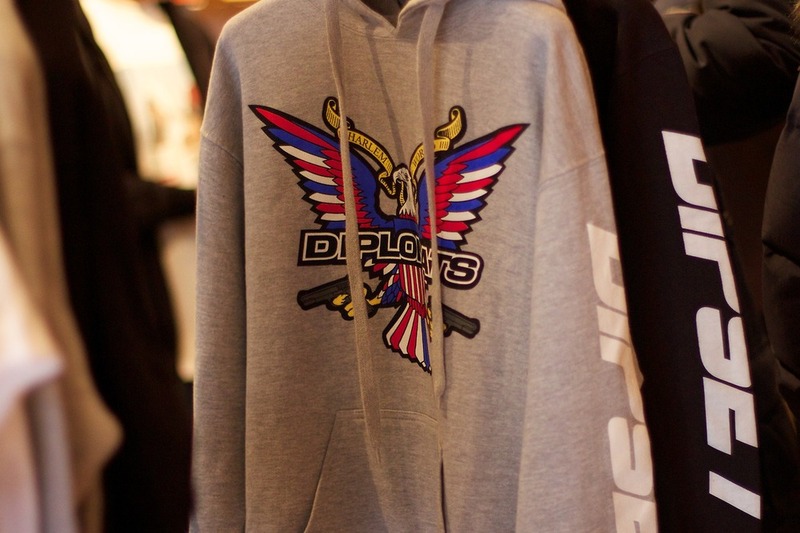 A massive merchandise of Dipset clothing in t-shirts, hoodies, crewnecks and hats filled the shop as the Dipset logo bearing the rap coat of arms displayed entirely within the shop, instantly gave a nostalgic moment for a slew of fans lined up outside. I mean, the line was seen stretched out around the entire block! With that being said, you can't help but give kudos to the diehard fans who braved the below freezing temperatures to grab a hold of some exclusive Dipset merchandise. Nonetheless, I kid you not, the folks over at "Capsule" gave fans what they were looking for - by transforming their sneaker shop into Dipset's Canadian flagship store for a mere two days, it was nothing short of astonishing! I mean you'd think Cam'ron, Jim Jones, Juelz Santana and all of the other Dipset members would be there but unfortunately not. The shop was just that legit! 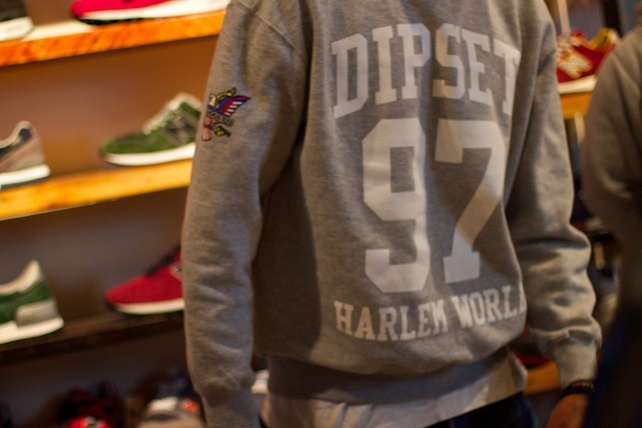 So all-in-all, in case you slept on the shop, you can order Dipset's merchandise via the crew's official online store or now also sold exclusively on Karmaloop.